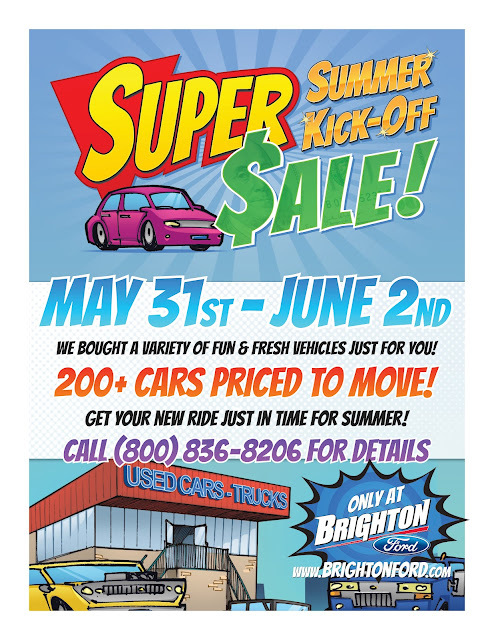 BRIGHTON, Mich. May 25, 2012 – Brighton Ford is having a record-breaking sales month for the month of May! Ownership has authorized us to Break ALL Livingston County Sales Records. We have loaded our lot with fresh, hot inventory. We have the cars and trucks you want. We are READY to DEAL! WE WANT THAT RECORD, and our customers are going to benefit. – If you're in the market for a great used car, truck, SUV or cross-over, in almost every make or model. Come to Brighton Ford or visit our website www.BrightonFord.com.